It might have seemed that Anthony Mackie, the New Orleans-born film and stage actor, was extending an olive branch to the NFL referees who failed to call a crucial penalty against the Los Angeles Rams late in the NFC championship game against the New Orleans Saints. Mackie, after all, invited them on national television to ride in a Mardi Gras season parade. But the sarcasm was immediately obvious to Carnival-savvy New Orleanians, for Mackie beckoned the no-call refs to ride in the Bacchus parade on the krewe’s King Kong float, historically a target for bead-throwing spectators. Where to find New Orleans parties, second-lines and concerts during "Super Bowl LIE" on Super Bowl “Shun” Day. When host Jimmy Fallon asked him to elaborate what would happen, Mackie described how parade attendees throw beads at Kong’s open mouth on the float, which usually carries no people. The referees “would have a pleasant experience” because everyone would throw the beads at Kong’s mouth rather than pelting the infamous officials. “Why would we hurt them?” the “Avengers” star deadpanned. 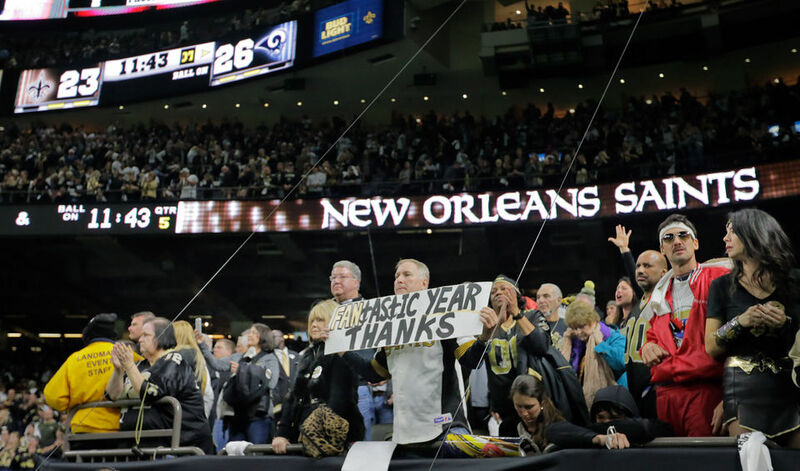 The refs have been ridiculed in New Orleans since missing the pass interference play, with Saints fans complaining it cost their team a trip to the Super Bowl. Saints quarterback Drew Brees encouraged fans to take the high road, but New Orleans will be the host on Sunday of almost two dozen anti-Super Bowl events, including a star-studded Boycott Bowl concert.